This oversized all natural tote is 10 0z. cotton, measures 6"x16" at the bottom and is 17" tall. 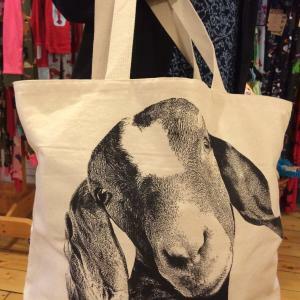 Perfect for the beach or for all your yarns or just for toting around all your "stuff". 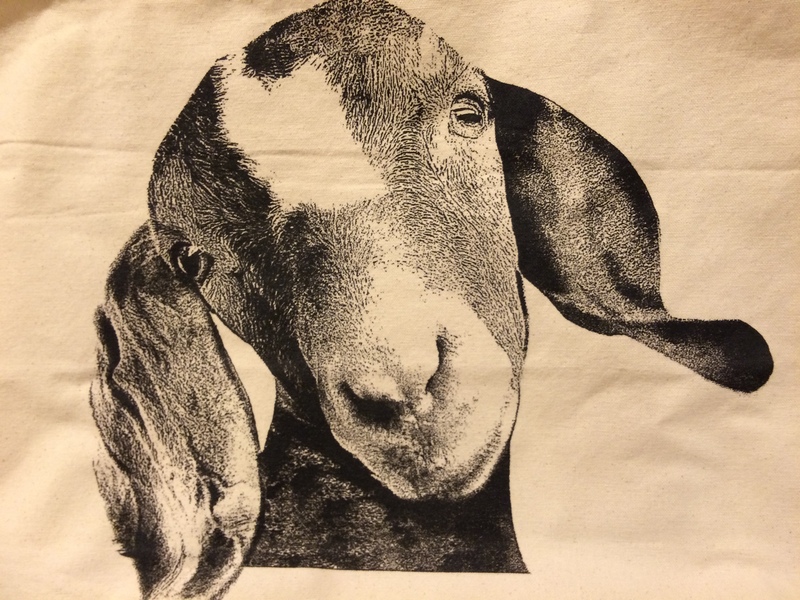 Made in the USA and hand screen printed. 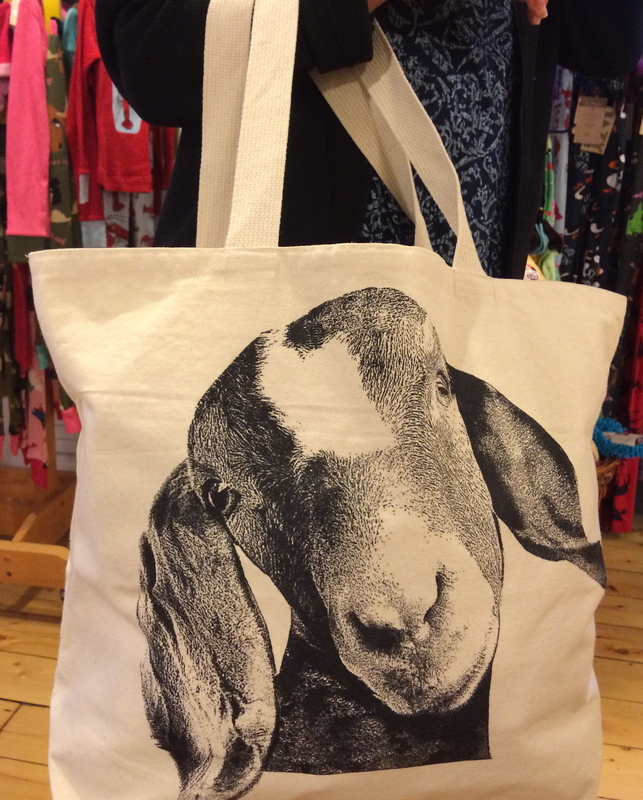 This adorable nubian goat bag has been a top seller in our store!